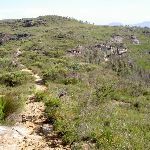 Veer left: From the intersection, this walk heads towards the rocky outcrop, keeping the ridgeline above and right of the track. 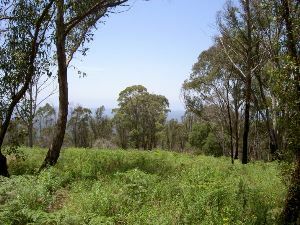 After approximately 300m, the track leads away from the hill on the left, heading onto a low heath area (with the hill behind). 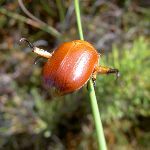 The walk continues for approximately 50m towards the Grose Valley, coming to an intersection. 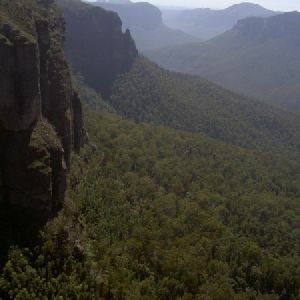 Veer left: From the intersection, this walk heads down hill towards a small castle of rock, Mt Hay Monolith. The walk keeps the main valley to the right of the track. The track soon heads down some rocky surfaces to continue into a saddle. The walk heads across the saddle to a small, spherical cave (to the left of the track). Veer right: From the spherical cave, this walk keeps the rock to the left of the track, heading towards the valley. 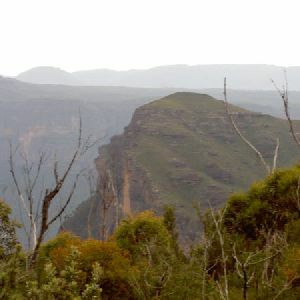 The track leads around the base of the cliffs for approximately 80m before coming to a grassy pass into the cliff (on the left). Turn left : From the intersection, this walk heads up through the grassy pass in the rock, away from the valley. The track leads across the plateau through the low heath, passing a track (on the right) after approximately 50m. 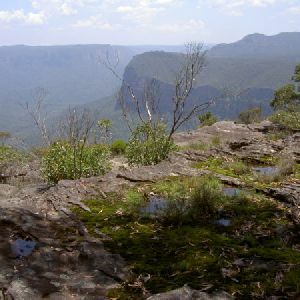 The walk soon comes to a flat rock with two bolts in it, where there are stunning views over the Grose Valley. At the end of this side trip, retrace your steps back to the main walk then Turn left. 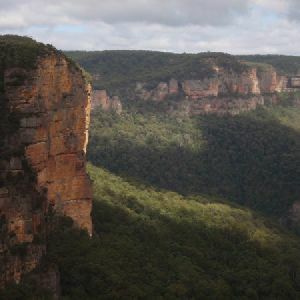 Continue straight: From the intersection, this walk heads around the cliffs (keeping them on the left of the track, and the Grose Valley to the right). After approximately 50m, the walk passes another track (on the left, heading up the monolith). 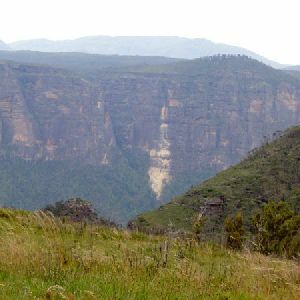 This walk continues around the base of the cliffs and above the valley for approximately 100m, to the intersection in front of a fin-shaped rock. Veer right: From the intersection, this walk heads down the hill, leaving the Hay Monolith behind and nearing the rim of the valley (on the right). 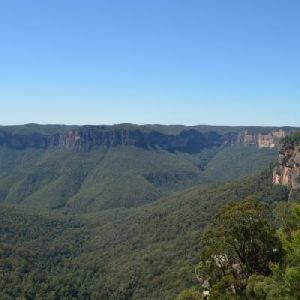 The track passes a large, grey, rounded rock formation on the right, heading in the direction of the cliff edge, to a rocky point on the right of two banksia bushes, with stunning views of the valley. At the end of this side trip, retrace your steps back to the main walk then Turn right. Continue straight: From the intersection, this walk heads down over some rocky surfaces (with the cliffs to the left and valley behind). The track continues below the cliffs, passing a few small caves on the left. After a short time, this walk rounds the hillside to a spherical cave on the left of the intersection, and a saddle to the right. Turn right: From the spherical cave, this walk traverses a grassy saddle, keeping the valley to the left of the track. The track climbs up some rocky surfaces, then heads east up the spur line, coming to the intersection in the low heath. Veer left: From the intersection, this walk heads across the hillside, keeping the main valley below to the left, and the hill to the right of the track. The walk reaches a rock surface and tends right towards the intersection. 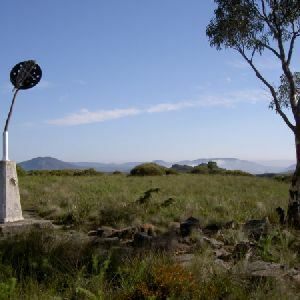 Turn right: From the intersection, this walk heads up onto the ridgeline, with Mt Hay to the left of the track. The track then follows the ridgeline, undulating slightly for approximately 200m before dropping down the intersection. 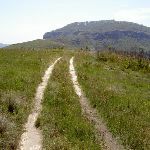 Turn left: From the intersection, this walk follows the overgrown management trail up the hill, keeping the rocky outcrops on the hill to the left and the large hill, Mt Hay, directly ahead of the track. The track heads down to an unsigned intersection. 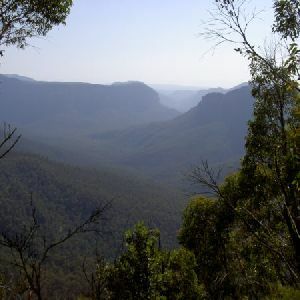 Turn around: From the cairn on the summit of Mt Hay, this walk heads south down the hill. 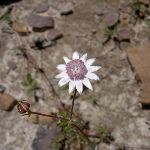 The track continues approximately 100m down the hill through an area of soccer ball-sized rocks and grass. The walk heads down the hill to lead out of the grass, passing a rock landing (on the right) which is covered in moss. 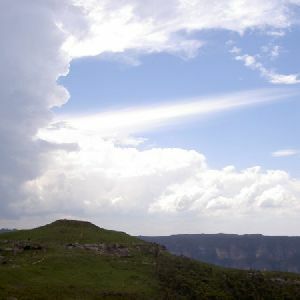 The track leads down the hill to descend two small rock surfaces which are marked by cairns. The track then tends right to a ribbed rock feature on the right. 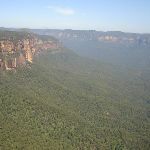 Continue straight: From the rock feature (on the right), this walk heads down the hill with the Grose valley some distance off to the right of the track. 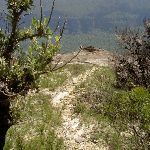 The walk continues down a single track away from Mt Hay, leading across a saddle protected by trees, then follows an overgrown management trail which tends left around a rocky outcrop (on the right). The walk then tends right for approximately 50m to continue on to the intersection. 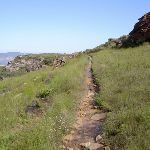 Continue straight: From the intersection, this walk follows the overgrown management trail up the hill, keeping the rocky outcrops of the hill to the right of the track. The track climbs over a small rise to descend to the unsigned intersection with a defined track on the right. Veer left: From the intersection, this walk heads down the hill, keeping the rocky features on the right for approximately 20m to the intersection. 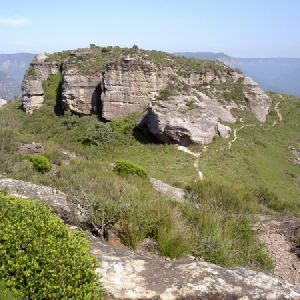 Veer left: From the intersection, this walk heads away from the rocky outcrops on the hill to traverse the saddle and rise up to the car park. Around 3.8km of this walk has short steep hills, whilst the remaining 860m is very steep. 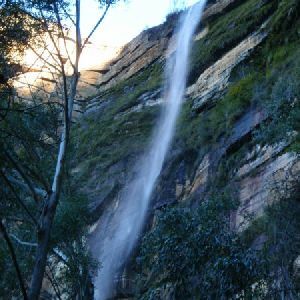 Around 2.4km of this walk follows a rough track, where fallen trees and other obstacles are likely, whilst the remaining 2.2km follows a formed track, with some branches and other obstacles. Around 2.4km of this walk has minimal directional signs, whilst the remaining 2.2km has directional signs at most intersection. 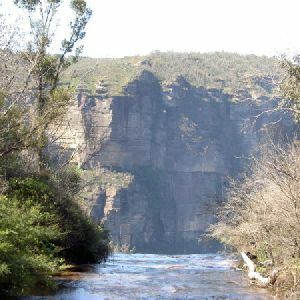 Around 2.4km of this walk has limited facilities (such as cliffs not fenced, significant creeks not bridged), whilst the remaining 2.2km has limited facilities (such as not all cliffs fenced). 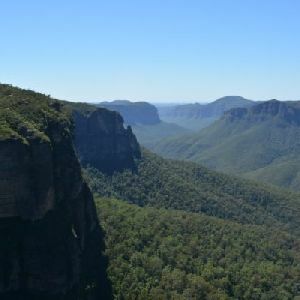 A list of walks that share part of the track with the Mt Hay and Hay Monolith walk. 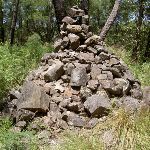 A list of walks that start near the Mt Hay and Hay Monolith walk. 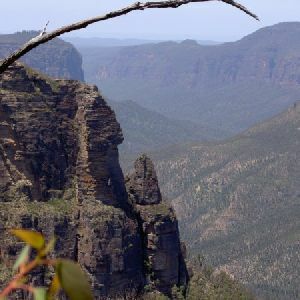 http://new.wildwalks.com/wildwalks_custom/includes/walk_fire_danger.php?walkid=nsw-bmnp-mhahm Each park may have its own fire ban, this rating is only valid for today and is based on information from the RFS Please check the RFS Website for more information.